Gisli Gislason has been trying to sell electric vehicles around the world for years. His base has always been Northern Europe, though, so it makes sense that a new announcement from his EVEN Electric company partnering with Microsoft comes from Sweden. Gislason says that EVs require different and better sales platforms because traditional dealerships can't make money off of them. "If you go to a car dealer today, many merchants will try to sell you a fossil fuel-driven car because they generate more revenue. This is because there are so few moving parts in an electric car and virtually nothing gets broken. We want to challenge this, so we decided to look for new and better ways to help OEMs to sell electric cars, and to find a technology partner to help us build the solution," Gislason said in a statement. This solution will be a "new smart trading platform" that replaces plaid polyester suits with artificial intelligence and bots in a price comparison website that will not only sell electric vehicles, but also "products and services linked to electric cars." We'll report back once the site is up and running and we can play around with the details. EVEN Electric and Microsoft are contracting with the intention of revolutionizing the sale of electric cars. EVEN Electric has entered into an agreement with Microsoft Sweden that together will revolutionize the sale of electric vehicles. Like many others, EVEN Electric founder and CEO Gisli Gislason has a vision of a gasoline and diesel-free automotive industry. According to Gislason, today's car market was built a hundred years ago for the sale of fossil fuel vehicles and does not take advantage of today's digital enablers in order to sell and distribute the more modern electric car. "Planet Earth is our home, and we must take care of it by switching to EVs. The problem is, if you go to a car dealer today, many merchants will try to sell you a fossil fuel-driven car because they generate more revenue" says Gisli Gislason. "This is because there are so few moving parts in an electric car and virtually nothing gets broken. We want to challenge this, so we decided to look for new and better ways to help OEMs to sell electric cars, and to find a technology partner to help us build the solution." EVEN was started by entrepreneurs and environmentalists with extensive experience of the electric car business. Early trials in Iceland generated insights on the sale of electric cars and the idea of a modern trading venue grew as the market for electric cars matured. After the successful trials, EVEN started looking for a partner with the right technical skills. Today EVEN Electric signed a co-operation agreement with Microsoft with the intention of launching the trading platform in 2018. "EVEN has a great idea with enormous potential to revolutionize the electric car market. With our expertise and global scalable cloud services, we will together create new opportunities and a unique customer experience that not only sets the right conditions for a more efficient electric car market but also contributes to a more sustainable society. We are proud of this co-operation with high ambitions to make buying electric cars more accessible, affordable and convenient globally," says Niklas Johnsson, Head of Microsoft Services in Sweden. 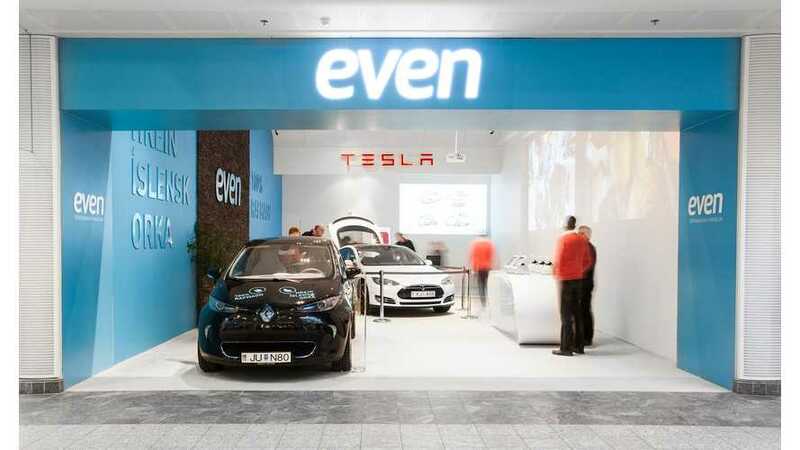 EVEN is developing a new smart trading platform that will change how we find and consume electric cars. The platform combines the power of a modern price comparison site with the latest in artificial intelligence and bot technology to effectively match the needs of access to products and services linked to electric cars. In addition, a physical distribution channel will be provided for electric vehicle manufacturers to showcase their products in showrooms and pop-up stores at attractive locations around the world. "In order for this project to succeed, we need not only to make it easier and more appealing for consumers to find the right fit for their needs - we also need to make it attractive and easy for distributors and manufacturers to find buyers for their products and services," concludes Gisli. The collaboration with Microsoft Services in Sweden is based on a cloud-based solution with micro services on Azure App Fabric, along with Dynamics 365 and Microsoft Cognitive Services. The platform is designed to easily scale across the world and integrate with other services and platforms. "The co-operation with EVEN is a good example of how digital entrepreneurs can realize their ideas and reach a world market quickly and efficiently. The Nordic region has a fantastic start-up community that carries world-leading innovation, and together with Microsoft's experience and services, we have the model to make it possible to realize them globally", Niklas concludes.